Driving on Highway 12 southeast toward Napa from Sonoma we happened to pass a crew pasting up this sign. 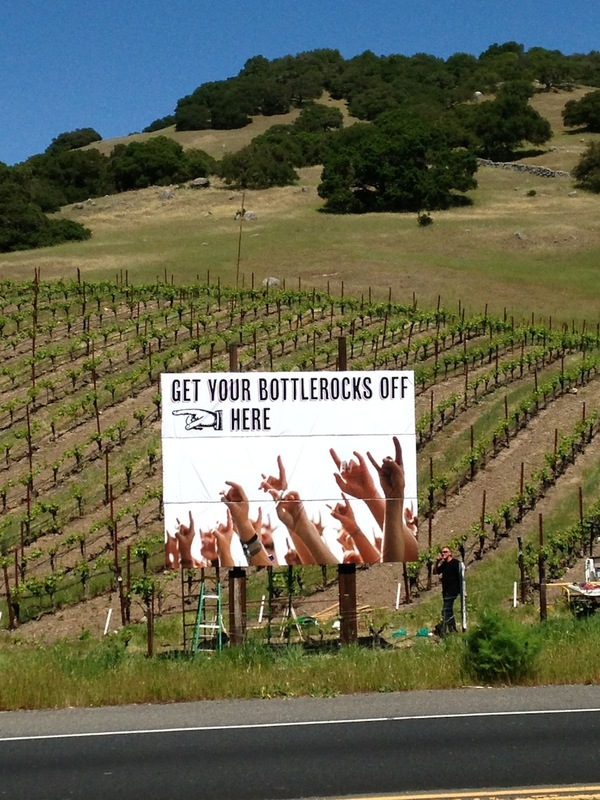 By all outward appearances another of the billboards directing people toward the big BottleRock Napa music, food and wine festival scheduled for May 9 to 12 in Napa. 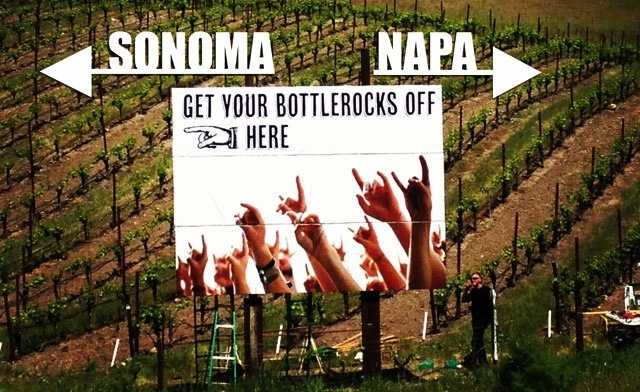 We asked BottleRock if this was theirs and they said “rock on.” Except for one problem. The helpful hand is pointing the wrong way. West toward Sonoma. If the sign stays up in this form until June 15, it might actually be quite helpful for directing people to the Huichica music and food festival at Gundlach Bundschu winery that weekend (Blitzen Trapper is headlining, and gun Bun wine will be plentiful, so, you could argue that bottles will be rocked). Though Gun Bun has been mum on the score of if this is their handiwork.